Dunteman Turf Farms is the premier commercial turf supplier throughout Elburn, DeKalb, St. Charles, Geneva, Aurora, Naperville, Elgin, Yorkville and surrounding areas of Illinois. We separate ourselves from our competitors with reliable and professional work. We have over three decades of industry experience as well as a quality driven team. We have provided many benefits on this page for purchasing sod, and we hope that our list is a helpful tool. Please feel free to contact our team directly at 630-557-2900. It may be aesthetics, or it may be convenience. Regardless of the reason, if your project can’t wait the eighteen to twenty-four months required for seeding, sod is your answer. A sodded lawn looks beautiful the moment it is installed and can support foot traffic in about two weeks. Establishing a lawn by seeding requires thorough ground preparation, a lot of water and weeks of great weather appropriate for growth. If you don’t get all of these variables right, you may lose an entire growing season. 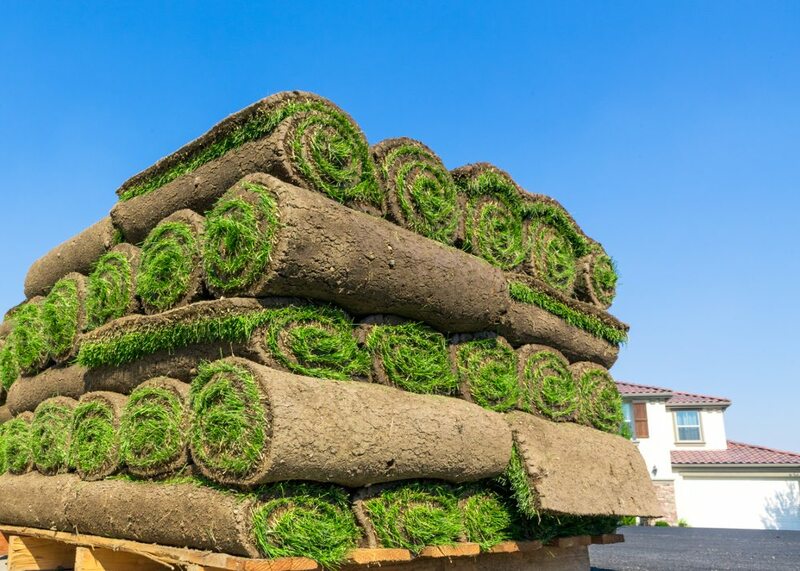 However, because sod is already established, it can be effectively installed in Northern Illinois from April through November, with the same great results each time. Here is an analogy: rare is the carpenter who grows his own trees for lumber. So why would you want to spend all the time building/growing the materials for your home or commercial product? We know that developing great turf from seed takes a lot of work; we do it every day. Proper installation and about two weeks of watering is typically all it takes to establish a newly sodded lawn compared to the 18 months it takes to grow it yourself. In areas where soil erosion is a problem, sod is a great solution. Mature sod will help to stabilize a slope, valley or berm and reduce or eliminate erosion faster and more reliably than any other option. As a member of the Midwest Sod Growers Association, Dunteman Turf Farms has access to many of the region’s prominent turf researchers. Whether you have a particular question or want to improve your overall knowledge of sod and turf grasses, a call to Dunteman Turf Farms will help you get the answers you need. Sod isn’t the best solution for everyone. Fortunately, we have seeding options here at Dunteman Turf Farms. Dunteman Turf Farms is an industry leading commercial turf supplier serving Elburn, DeKalb, St. Charles, Geneva, Aurora and Yorkville, Illinois.